From Nathan Stanley: Combine the SWAT Kats’ world with the Wild West C.O.W.-Boys of Moo Mesa. It would be preferable if one of the SWAT Kat villains teamed up with the Masked Bull and if the C.O.W.-Boys’ friend, J.R., popped up, even if just for two seconds. Sidenote: No length requirements. From Nathan Stanley: Have the SWAT Kats interact with Sonic the Hedgehog and all his friends. Sidenote: No length requirements and no Chaos Emerald challenge necessary. From Nathan Stanley: Combine the SWAT Kats with one of the following mouse-oriented series: Mighty Mouse, Danger Mouse or Biker Mice from Mars. Sidenote: No length requirements. From Frost: Have the Pastmaster or Dr. Viper bring dinosaurs back to life. They can be from all different eras. Have the SWAT Kats battle them until it’s just them and a dinosaur left. Sidenote: No length requirements. No responses to this this challenge yet. From Frost: Batman and the SWAT Kats. Now that’s an interesting crossover. Have the SWAT Kats get sucked into the Batman’s universe or vice versa. And, have one or more of the Batman’s villains team up with a SWAT Kat villain. Also, make sure both SWAT Kats are still alive in the end. Sidenote: No length requirements. (Unfinished) The SWAT Kats find themselves in Gotham City, but they don’t exactly receive a warm welcome. Response to the Vigilantes in the Dark Challenge/Batman Crossover Challenge. From Zmaster: Set a story in the Dark Ages in MegaLith city. All the main characters’ ancestors must be in the story. Callie’s ancestor is obviously Callista, who is some sort of wizard. Chance’s ancestor could be a knight, Jake could be a rogue, and Felina could be an Amazon or some sort of female warrior, and she doesn’t necessarily have to be related to Feral. Commander Feral could be the captain of the guards. The four main characters must do some sort of quest. You can choose what it will be. From Puss: Pair two show characters (no fan-characters!) together. Build their relationship as ‘normally’ as possible. Requirement: Cannot contain any “so’n’so is kidnapped and the other saved them” plotlines. Little or no action is preferred. Bonus points: Don’t use Jake or Chance! A response to Puss’ SHIP-building challenge, focusing on Feral and Callie. From Puss: Build up the back-story/origin of a specific character. Tell how Mayor Manx came to power, or why Chance joined the Enforcers, or why Dark Kat went bad. It should be more than five pages long. From Puss: Tell the story of how two characters first met. Suggested characters: Jake & Chance, Mac & Molly, the SWAT Kats & Callie, Burke & Murray, Dark Kat & his kreeplings/creeplings. From Dreamcatcher: Swat Kat/Powerpuff Girl crossover. That would be an interesting crossover: Three little girls with ultra superpowers get transported to the Swat Kat universe. Let your imagination run loose on this one. If you want, you could also have one or more of the Powerpuff Girls’ enemies end up in the SK world too and maybe have them team up with a Swat Kat enemy (Mojo Jojo, Him, Gangreen Gang, Fuzzy Lumpkins, etc.) Sidenotes: No length requirements. (Unfinished) The Pastmaster sends the SWAT Kats on an unexpected trip to another dimension with Dr. Viper along for the ride. Response to the Powerpuff Girls Crossover Challenge. See also Robina’s entry. (Unfinished) A response to the “The Powerpuff Girls Crossover Challenge.” Him casts a spell to destroy the Powerpuff Girls but brings the SWAT Kats to Townsville instead (the mistake Him made will be explained later in the story). How can two kats survive in a city with kindergardeners as its superheroes? From Kari Gilmore: What if one or both of the SWAT Kats were shrunk? Ladies and gentlekats, it’s time for “SWAT Kats: The Tiny Squadron!” Sidenotes: No length requirements. 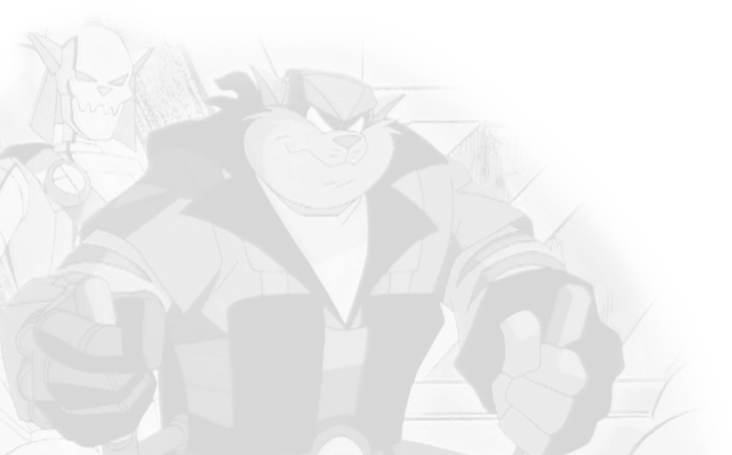 From MoDaD: Madkat VS The Pastmaster, the two magical beings of the SWAT Kats Universe, who will win? who will lose? Who will get the movie rights? You decide. Sidenotes: No length requirements, and can be humorous or serious. Thanks to an incident with the Pastmaster, T-Bone and Razor find they’ve switched bodies. Can they keep everyone from noticing? And, how will they get back to normal? A challenge response. See also Collin Blake’s contribution. 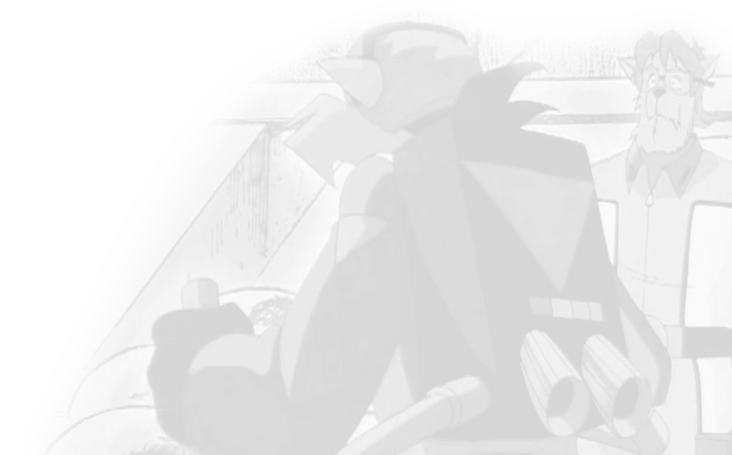 Well, with the city in danger, the Swat Kats are there, but this time Dark Kat’s got something new… As does Razor… And, when they clash, personalities fly… Literally. In response to the Body-Swapping Challenge issued by Cherry Koivula. See also Cherry Koivula’s contribution. Originally started by C.L. Furlong. The story is to cover a showdown between Dark Kat and Dr. Viper. It must be a short story (nothing more than five pages) and neither villain may win in the end. Dark Kat and Dr. Viper finally go mano-a-mano… In response to a challenge initiated with KS Claw. See also Glen Battilana’s and KS Claw’s contributions. Rated M for violent content. In another response to the challenge, Dark Kat and Viper have a duel. See also KS Claw’s and CL Furlong’s contributions. Dark Kat and Dr. Viper finally go one on one, mano-a-mano… In response to a challenge initiated with CL Furlong. See also Glen Battilana’s and CL Furlong’s contributions to this challenge.